Today the Inflation data will be released in Japan and the US will publish Existing Home Sales. 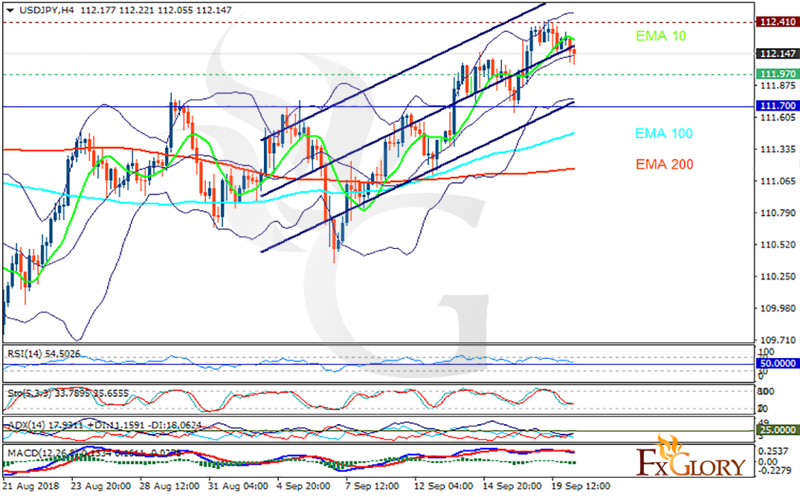 The support rests at 111.970 with resistance at 112.410 which both lines are above the weekly pivot point at 111.700. The EMA of 10 is moving with bullish bias in the ascendant channel and it is above the EMA of 100 and the EMA of 200. The RSI is rising towards the overbought area, the Stochastic is moving in middle ranges and the MACD line is below the signal line in the negative territory. The ADX is showing sell signal. USDJPY may continue its bullish trend towards the upper Bollinger band at 112.5.